You have probably been envisioning your wedding for quite some time, but now that it’s a reality you need to take all of those daydreams and wedding fantasies and make them come to life. A vision board can help you organize all of your thoughts and ideas so that when you go to start the planning process, you are clear on your vision. Creating a vision board for your wedding will also help you and your partner merge your wedding visions. you both get a version of your dream wedding. Fantasizing about your wedding is easy, but describing those fantasies and images to a wedding planner or wedding vendors can be difficult. Once you’re ready to start planning, sit down with your partner and write down all the descriptive words that come to mind. Don’t worry if you think that some words clash. Some of the grandest weddings have come from seemingly contradictory themes. These words will help guide you in all of your decisions. Once you have a list of words to describe the vibe and style of your wedding, it’s time to find photo inspiration. Use magazines, Pinterest, and other sources to find photos that depict your descriptive guide words. Consider colors, textures, and materials. Print out your photos and pin them to your mood board creating a collage of images and words that embody your vision. 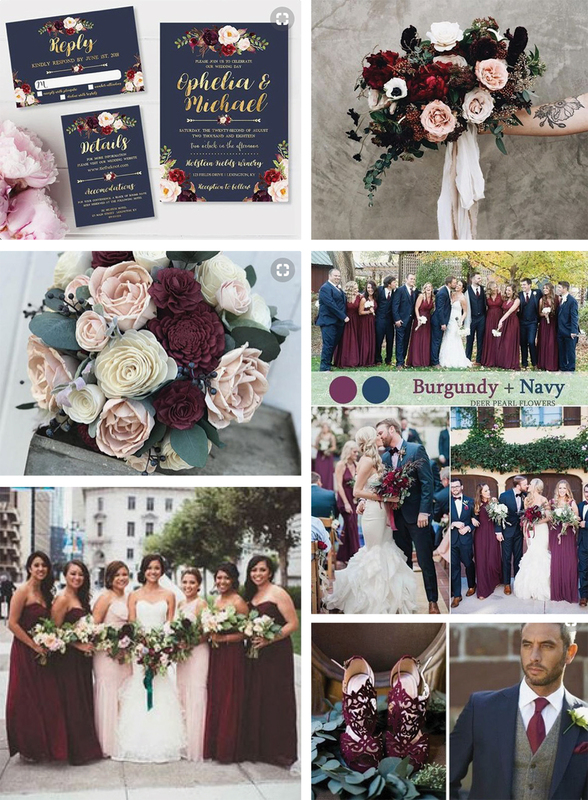 The mood board will start to give you a complete look for your wedding. Don’t limit yourself to wedding photos, websites, and magazines. Take inspiration from all areas of your life. Look at art, fashion, films & TV, architecture, books, interior design, and nature. Look to the past and look at future trends. Somewhere in between is your wedding, so don’t limit your sources of inspiration. You shouldn’t limit your source of inspiration or put limitations on your creativity. Some of your ideas may not feel like they fit together but don’t let that stop you from putting those ideas on the vision board. Once all of your ideas are represented on the board, you can take a step back and concentrate on the final vision. Look for ideas that have a common thread, removing things that feel out of sync until you have a vision board that feels cohesive. Once you have your vision board, set up an appointment with our wedding specialists, and we can make your vision board a reality.